Added support for printing photos, Google Docs, GMail messages and other content using a Wi-Fi or Bluetooth connection or using cloud-printing services like Google Cloud Print and HP ePrint. Better battery life thanks to a bug fix. A bug causing intermittent delays with email services like Microsoft Exchange. If the update hasn’t shown up in your notification bar, you can install it by going to your Settings. Hit “About phone” then “System updates” and then hit “download” when it shows the software as being available. No thanks, the Nexus 5 is too big. I’ll stick with my Moto X.
I have a Nexus 5, and I love it too. Moto X is very nice, I generally am not a spec snob though.. I go for experience.. this is from an iPhone user.. I’ve been looking/playing with it for while.. it’s the one phone that temps me from iOS right now.. I switched from an iPhone 5 to HTC One and never looked back. Just got the update yesterday and in one day of testing, the battery feels like it’s lasting longer. Loving my Moto X! Only a day late on this story, guess that’s what you get from a guy across the pond… So what about kit kat for the HTC One, what happened to that update? Really? I don’t what see what connection those two things have at all. That was simply an ignorant statement. Cam, please don’t think we all share such silly sentiments over here. I think you’re doing a great job. Please keep it up. I got my update yesterday, and it went smoothly. Only ~150 mb. Noticed a slightly better battery life, and integrations with cloud printing. Love my Moto X. Without a doubt the best phone I’ve ever owned! And. . .what about the S4??? Can we call this the unlocked Moto X. I mean besides it is ability to support Tmobile radio frequencies, it really has nothing to do with T-Mob. That’s why the 4.4.2 update arrived so fast. Now if my At&t model (on T Mobile) will get the update, I’ll be golden. Love my Moto g! running on Tmobile. Accept for I cracked the screen & had to get another one. I’m considering cancelling the 10.00 I pay for the jump service though. Because you can buy decent unlocked devices now. The g is better then all the midrange one’s Tmobile is currently offering like the f3 & f6 the Samsung light etc & those junk Alcatels! No reason to have JUMP on your Moto G since T-Mobile doesn’t carry it, save yourself 10 bucks. Hi there. Ya I know that. I was just keeping it because if I wanted to I am eligible for my first upgrade on an eip through them in April. But I think since I like to stick with unlocked devices like the g & dont wan’t to do eip payments then I should cancel it but then part of me says what if I change my mind & decide I want a device from them.. I know what you mean,one of the ads on here for Virgin mobile,had midrange HTC Disire,click the ad,read the reviews on it,it would blow the midranges Lgs,Light,Alcatels,out of the water,I say to myself why can’t Tmobile have midrange phone like that? And also in some ways it is better than The HTC One,it has memory card slot,face speakers,Beats audio,4.5 screen, why is this phone not on Tmobile? Yes very true I like that device too! To bad it runs off Sprint’s bad sloooow network (at least here in Vegas there horrible). Always something right. You wonder how they make these decisions of what phones to carry. In NYC,I have friends that have Sprint,they have no problem with them. out the door.The phone I am using now is better any of the midrange phones Tmo has now,The Amaze,got from ebay for less than $140.,used but it looks brand new. Same here, apparently it’s available for Note 3 in Poland, Russia, and India. 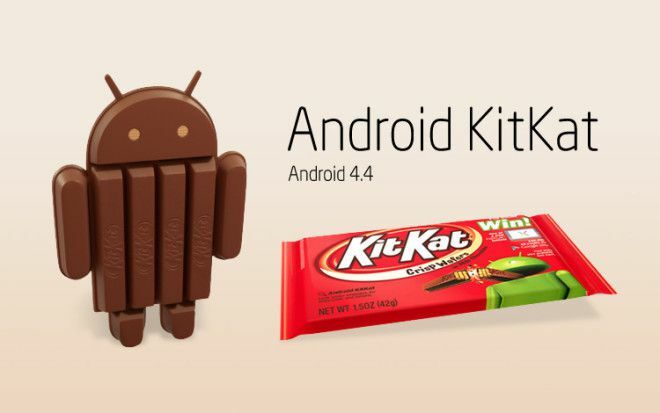 What are you Moto X users seeing as improvements or degradations with Kit Kat? Some people don’t want to root… Ever think of that? Why wouldn’t you root? 99% of the cool factor of an Android phone is being able to root and install custom roms, kernels, and mods to your device. Even if you don’t want a custom rom, there are some great custom kernels out there that allow for vastly improved battery life and sound mods (Voodoo, Bofella, and ViperFx) that make a HUGE difference over stock. I have been rocking 4.4.2 on my old S II for the past 2 months. Buttery smooth for an old device. Screen record is nice. do we know if Tmobile is getting Moto G ?? They will not get a branded version that will be cheaper. They have only been doing branded versions for CDMA carriers. All GSM can use the unlocked but CDMA can’t so they had to make special version for each. What happen to Samsung Galaxy S4? I thought late January we were suppose to get Kit Kat?